The consultative ballot has now closed. So what did the results of the ballot show? Members overwhelmingly said that government funding cuts were having a negative impact on schools. Nearly everyone wants UNISON to continue to campaign on school funding. And a sizeable majority are prepared to take industrial action to secure improvements. Unfortunately the turnout in the ballot was not as high as we would have liked. UNISON’s National Schools Committee will consider the detailed results at its meeting on 12 March to consider next steps and we will keep members informed. What was the consultative ballot about? Not in UNISON but a member of school support staff? 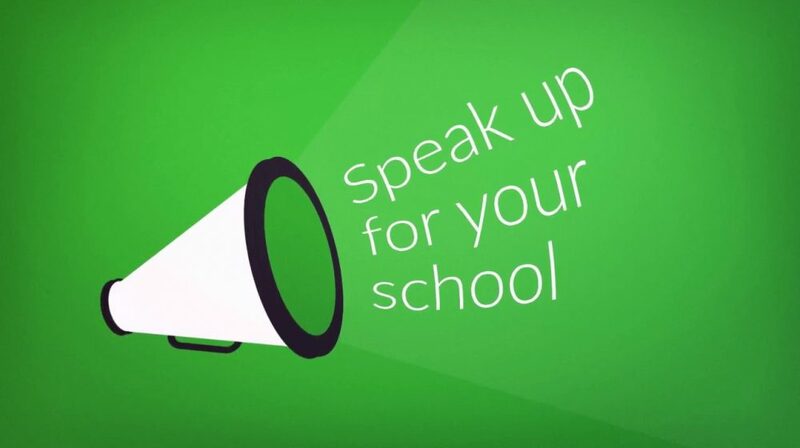 “Speaking up for my school” sticker. 20 stickers per sheet. 50 sheets max per order. Presentation of the employment and educational impact of cuts in schools. Background for the consultation of school support staff opening 22 January 2018.